The Dark Souls series has one of the most devoted followings of all. Dark Souls released in 2011, with Dark Souls 2 following in 2014 and Dark Souls 3 in 2016. The games are all known for their unrelenting difficulty, and nowhere is that more apparent than in the boss fights. With the release of a new mod focused on fighting the bosses in the first game, we thought we'd pick out eight of the toughest bosses from the Dark Souls series. Did we miss the boss you think is toughest? Tell us in the forums! 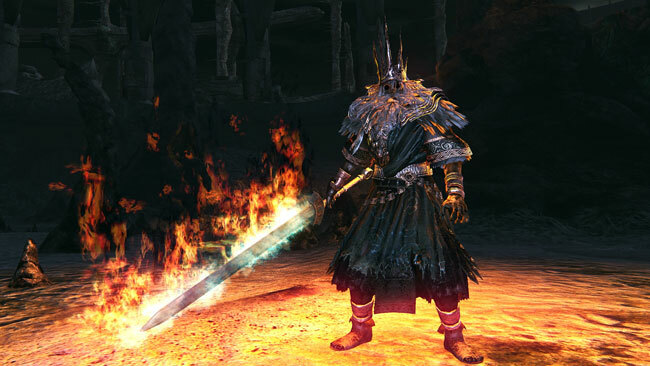 Just how much trouble you have with Gwyn will depend on one thing: How well can you parry enemy attacks? If you're not really good, be prepared for this fight to be brutal. Gwyn isn't just strong, he's fast, too. There's really no pattern to his attacks, and he can close with you quickly if you're trying to keep him at range. One mistake can end the fight, so you need to be on your game.